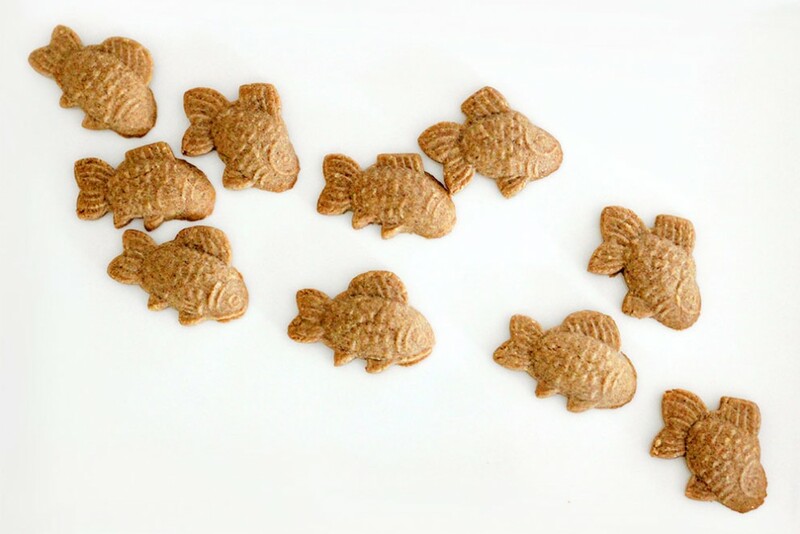 Ever since Josh’s grandma gave us some speculaas to go with our tea one afternoon, I’ve been hooked on them. These are the ones I first tried and that’s what I’m used to in terms of flavor. So when I tried making my own batch of speculaas with an old Dutch recipe, both Josh and I weren’t keen on how it tasted. The blend of spices made it taste almost like eggnog, but not in a way that we enjoyed. 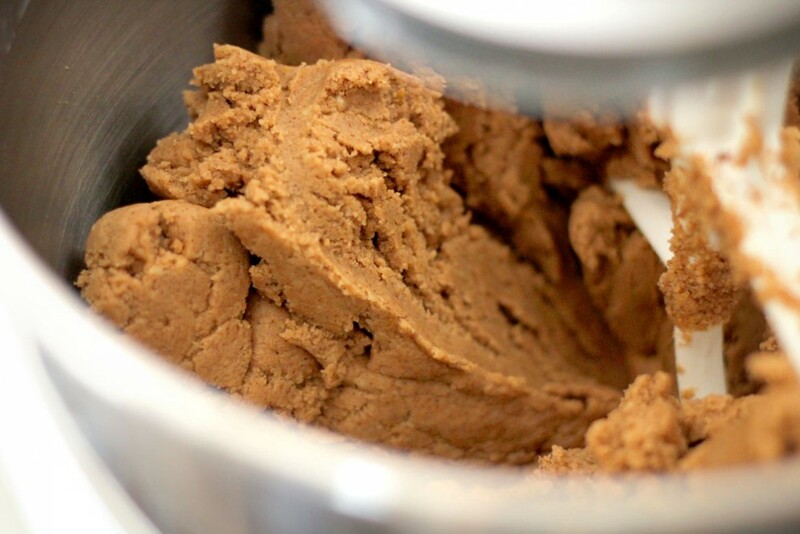 In a separate bowl, cream together the butter and brown sugar with an electric mixer using the flat beater attachment. Add the egg followed by the grated lemon rind, ground almonds, and spice mixture. 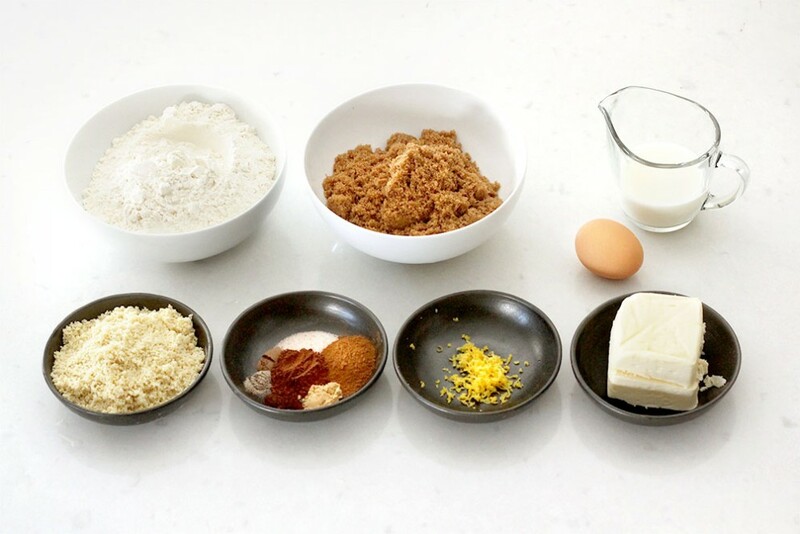 When everything is nicely combined, slowly add in the flour. Lastly, pour in 1-3 tablespoons of milk little by little. When your dough is able to be packed into a ball without crumbling, that’s enough milk (I used about 2 tablespoons). 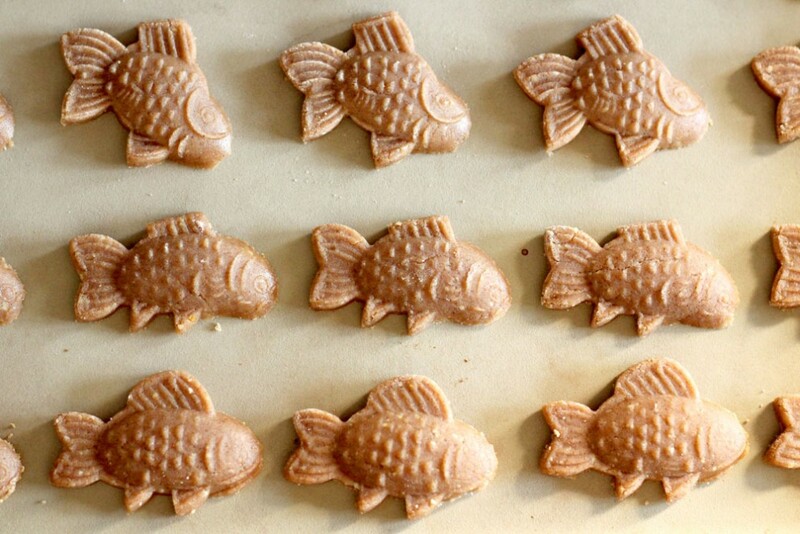 *In the original recipe it tells you to refrigerate the dough for 30-60 minutes to prevent any sticking to the mold. I put my dough in the fridge for 1 hour, but found that it still stuck to the inside of the flour-dusted mold. I ended up working flour into the dough by hand until it was dry enough (but not crumbly) to use the molds without sticking. Next time I’ll just skip the pre-refrigeration step. Preheat your oven to 350ºF. Make sure you dust the mold with flour and tap out any excess before placing your dough inside it. 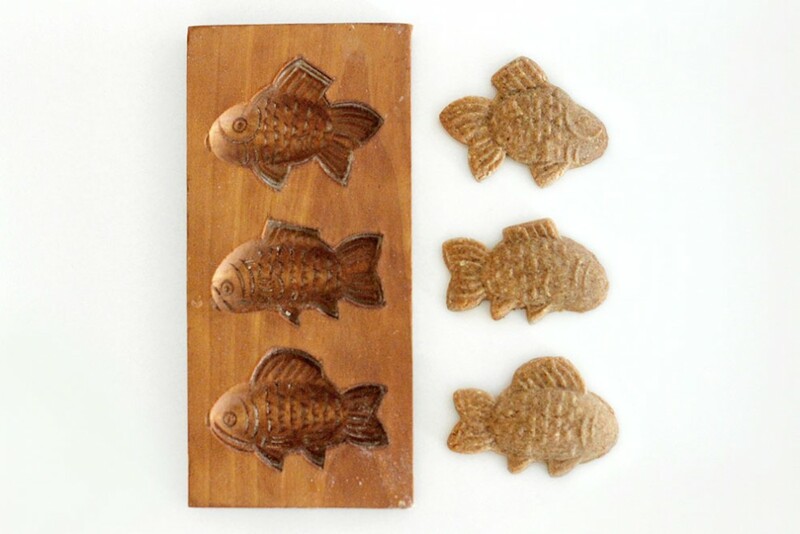 Form your dough into little clumps, make sure there are no cracks or seams on the side that will go into the mold or these might show after baking (You can see this happened to some of my fish below). Push the dough firmly into the mold, I used a rolling pin to help pack it in. 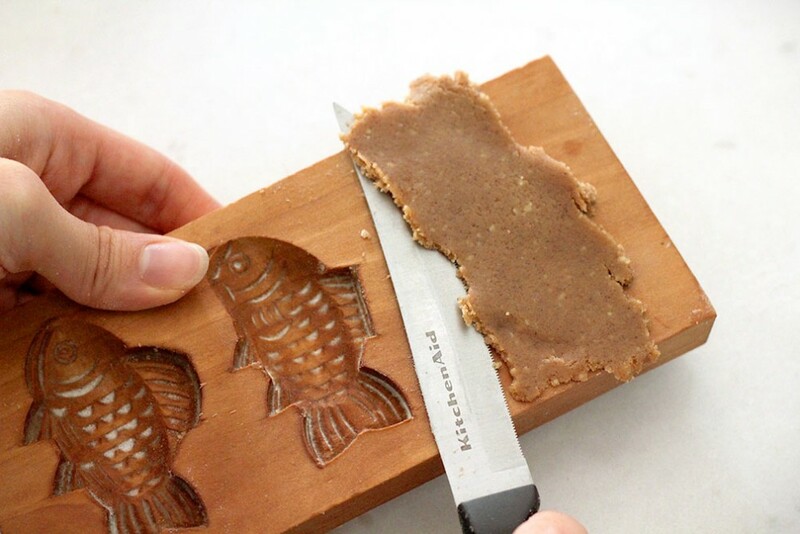 Trim away the excess dough with a knife flat against the mold using a saw-like motion. If you’ve got a dry enough dough, it should come out of the mold with some hard taps against your table. Place your formed dough into the freezer for around 10 minutes (or fridge for 15-20 minutes) before putting them into the oven, this will help the cookies keep their detail. After they’ve been chilled, place your dough in the oven for 12 minutes. *For dough using the leaf mold, I placed it in at 400ºF for 15 minutes since it was a much larger/thicker cookie. Bake similar-sized cookies at the same time. I’m really happy with how these speculaas cookies turned out; they did a great job retaining their detail and tasted great. 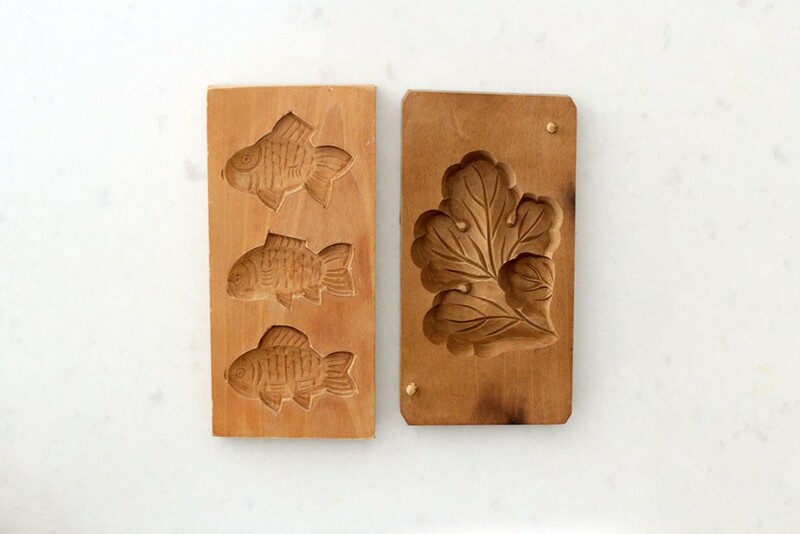 Now I’m a little obsessed with finding beautiful wooden molds! The above are vintage ones purchased on etsy. 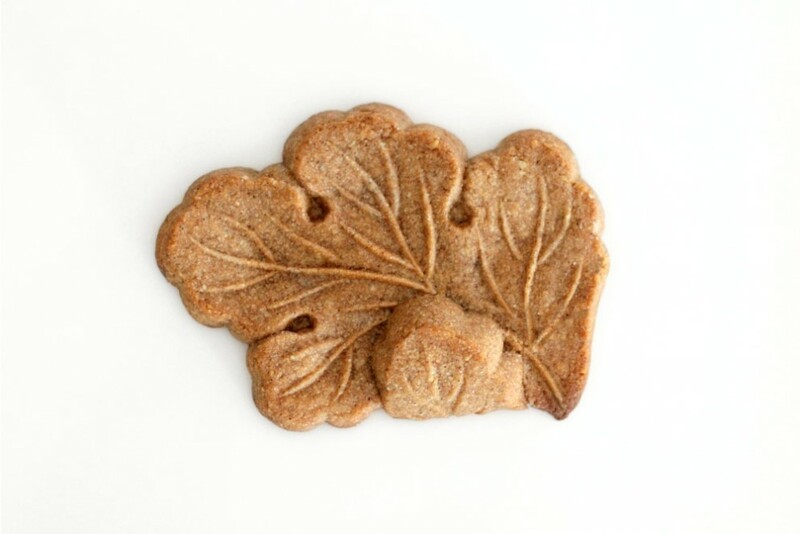 The leaf is actually a kashigata mold for Japanese sugar cakes, but it still worked really well with these cookies. 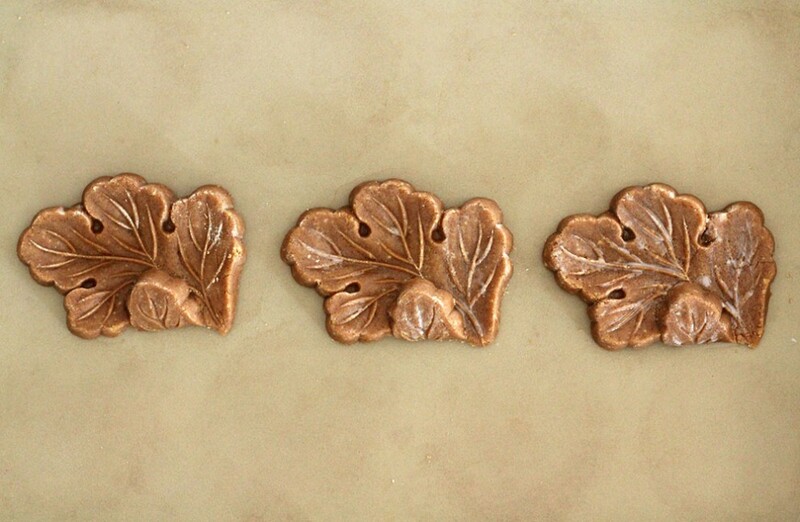 You can also find a lot of wonderful cookie molds at this store.